Cyclists share the road with cars and streetcars heading east on Queen St. West near Bay St. on Oct. 10, 2018. More than 100 pedestrians and cyclists have been killed in Toronto since the city unveiled a plan in 2016 aimed at eliminating such deaths. The continuing fatalities have sparked public outrage and politicians have responded by repeatedly beefing up the road-safety plan – its budget has more than doubled, to $109-million over five years. But the death rate appears unaffected. A man killed last week in the inner suburbs was Toronto’s 33rd pedestrian fatality of 2018, only one fewer than by the same time in 2016, which had been the city’s deadliest year in more than a decade. This year has also been unusually dangerous for cyclists. Over the past decade, between one and four people riding were killed in the typical year. So far in 2018, five cyclists have died on the roads. The response to a survey sent by TCAT and other groups to election candidates offers hints of a political divide that makes it harder to reduce road deaths. A number of councillors representing suburban wards, where wide roads and fast drivers pose extra risk, did not participate, nor did most of the politicians on a city hall committee tasked with overseeing road safety. “It’s disheartening to me that it’s a radical thing to believe that preventable deaths should not be happening in our city,” Jennifer Keesmaat, the former chief city planner who is John Tory’s main rival in the race for mayor, said recently. “Prioritizing people being able to move a couple minutes faster in their commute at the expense of the safety of our children and our elderly? It’s actually a moral question, I would argue, and I think a leader stands up and says, ‘This will be a city where we prevent all preventable deaths,’ ”she said. Mr. Tory said that he finds the fatality figures “unacceptably high” but argues that council is doing what it can. “We’ve substantially enhanced that investment a number of times, so that we’re probably spending as much and doing as much as we almost physically could,” he told The Globe and Mail editorial board this week. While John Tory has not promised additional road-safety measures as part of this campaign, Jennifer Keesmaat has pledged to drop the speed limit on residential streets and promised design changes to improve safety around schools and intersections. Mr. Tory has not promised additional road-safety measures as part of this campaign and is running on the current plan. Ms. Keesmaat has pledged to drop the speed limit on residential streets to 30 kilometres an hour and has promised design changes to improve safety around schools and at the 100 most dangerous intersections. Toronto’s original road safety plan in 2016 had a $40-million budget spread over five years and, with the effects of some changes expected to come slowly, a 10-year target for results. The plan stressed the need for “an aggressive but realistic goal” and aimed to cut road deaths and serious injuries by 20 per cent over that decade. Barbara Gray, general manager of the city’s transportation services division, who inherited the road-safety plan when she started late in 2016, says that expecting immediate results would be unrealistic and it takes a long time to change the culture and redesign a city’s roads. 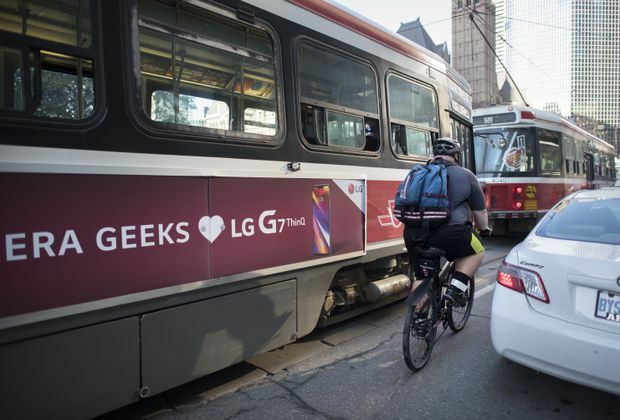 Toronto’s road-safety plan started to evolve from the day it was publicly launched in 2016, a response to advocates who reacted furiously and criticized it as too modest in scope. By the time it came to council for approval several weeks later, politicians were ready with the first of a series of additional funding promises. The plan was not funded until early 2017, though, and substantial engineering changes to city roads didn’t begin to occur until this year. The city also cannot act alone to enact some of the changes staff recommended. Although speed-enforcement cameras were suggested for school zones, the province had to approve this. It took more than two years for the first pair of cameras to be installed and these are not generating tickets, because the province hasn’t rewritten its regulations to allow that. But the plan does include scores of measures that critics acknowledge will help. Simple changes such as programming traffic lights to give pedestrians a head start are being accelerated and safety improvements around schools and areas with lots of seniors have been prioritized. A small but increased number of intersections are being redesigned to be safer. Generally, though, progress remains slow. In part this is because city staff are backlogged, which can lead to long delays between when a change is approved and when it happens. And simple-seeming changes first have to be debated and voted on by councillors from across the entire city. Councillor Joe Cressy points to his efforts to secure a traffic light a few blocks from City Hall as evidence of both problems. The spot is on an arterial road, meaning that it could not be approved by the local council alone, and took two years to get through the political process and installed.